Sometime in the future the United States is hit with a series of disasters which destroys much of the east coast. From it’s ashes rise two rival powers, the Republic and the Colonies. 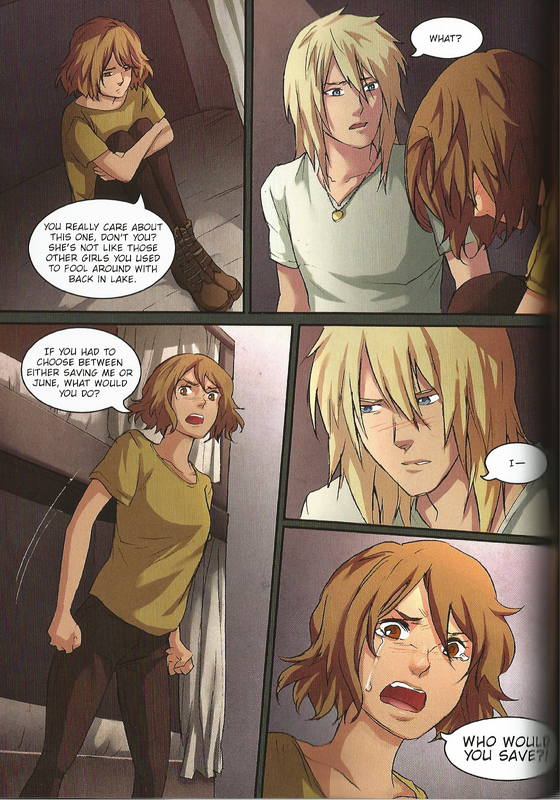 Day and June are two teenagers in the Republic on opposite sides of the law. Day, an infamous rebel fighter and June, a military prodigy soon find their paths crossing as they’re forced to ally with each other against the powers that be. The two must decide who to trust and attempt to navigate the web of lies and conspiracies if they any hope of surviving and getting unraveling the secrets looming over both their lives. 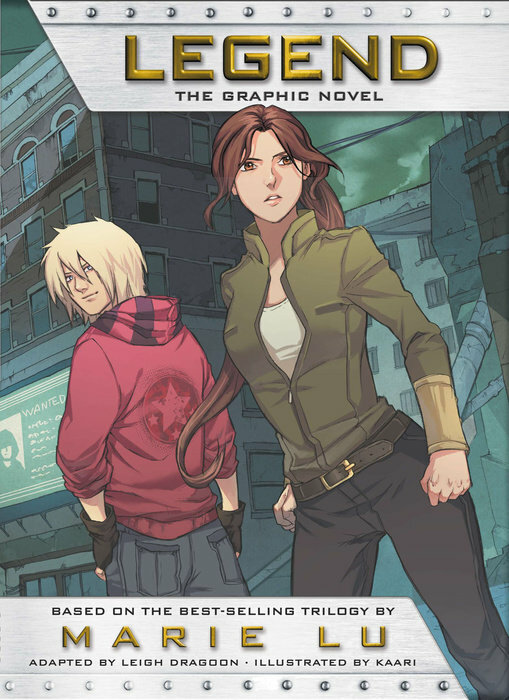 Based on the popular young adult novel series by Marie Lu, Legend: The Graphic Novel and Prodigy: The Graphic Novel adapt the first two volumes of The Legend series thanks to the talents of Leigh Dragoon, Kaari and Caravan Studio. Sad to say, but these are not the best introduction to the world that Lu’s created. The two graphic novels move at a break neck pace and while they do a pretty solid job at getting across each of the main character’s basic traits, it really felt like a lot was missing from the overall picture. Things are referenced but never really fleshed out or explained. Mentions abound about the Republic unleashing plagues and viruses, but they’re given little more than a brief and passing mention. Hints and suggestions about each character’s past are thrown about, but never quite followed up on, such as Day’s childhood. Likewise the world building feels a little lacking. Readers are shown how cruel the Republic can be in Legend, but when the Colonies are introduced in Prodigy they feel like a half formed idea. There’s a vague mention of them being run by corporations, but the impact this has on the citizenry and how it makes them functionally different from the Republic is never really explored. They end up feeling very similar with no real difference. On one hand that may be the point, but when Day and June arrive in the Colonies and mention how it feels weird there’s no real reason given for this aside from a brief conversation. Beyond that, they may as well be in the Republic. Tension between Day and his friend Tess over June. I like the emotion on her face. Kaari and Caravan Studio do a great job convey emotions through the characters expressions, their eyes are wonderfully emotive, making the quieter moments that much more powerful. When it comes to the action scenes however, it tends to feel a little stiff and awkward. The fight scenes are super compressed due to the page count, but there are sequences which are clearly supposed to be exciting edge of your seat moments but lack the oomph needed to pull them off. Chief among these was an exciting plane chase through a tunnel. The grey and bland backgrounds are a mixed bag. They make it difficult to tell certain settings apart, but at the same time they do reinforce the idea of faceless, concrete architecture that’s reminiscent of Eastern European, Soviet style construction and all that implies. Legend: The Graphic Novel and Prodigy: The Graphic Novel are probably not the best introduction to the series. They were short, quick reads, but as a newcomer they failed to really grab me or pull me into the world or into the characters. There’s always bound to be something cut and missing when adapting a story from one medium to another, but these really felt like some key points where cut. Newcomers curious about the series might be better off going straight to the novels, but there’s definitely some appeal here for fans of the series. It’s always nice to be able to see characters and places you’re a fan of depicted and this certainly does a good job at that. Legend: The Graphic Novel and Prodigy: The Graphic Novel are available now from . Review copies provided by the publisher.